Young Audiences Arts for Learning, Inc. congratulates its south Florida affiliate Arts for Learning/Miami on its recent selection for two prestigious grant awards to support its groundbreaking Wall (In) project. The program, in which young artists from the Liberty City neighborhood of Miami study the remains of a segregation wall and create a community-based activation of the site, will receive funding from ArtPlace America through its National Creative Placemaking Fund, as well as the John S. and James L. Knight Foundation through its Knight Arts Challenge. Wall (In), which was piloted in summer of 2017, supports the development of young artists’ personal power, self-esteem, and sense of purpose. Participants work alongside a roster of renowned, homegrown artists to learn about community-based art, develop leadership skills, and promote equity and social justice. Youth hone their planning and decision-making skills, and build their cultural competence through interaction with historians, activists, community leaders, and other community stakeholders. Over the course of the program, they research the history of Liberty City and the segregation wall, examine the state of the wall by mapping its remains, and investigate existing plans for its future. Wall (In) is one of only 23 projects, culled from nearly 1,000 applications, to receive funding through ArtPlace’s National Creative Placemaking Fund. The highly competitive national program invests in community development projects where artists, arts organizations, and arts and culture activity work to strengthen communities across 10 sectors of community planning and development. The Knight Arts Challenge was established 10 years ago to help communities in four cities across the country (Akron, OH; Detroit, MI; Miami, FL; and St. Paul, MN) bring their artistic ideas to life. Each year, “the awards celebrate Miami's cultural diversity, and 2017 continues the tradition,” according to Knight Foundation’s announcement. 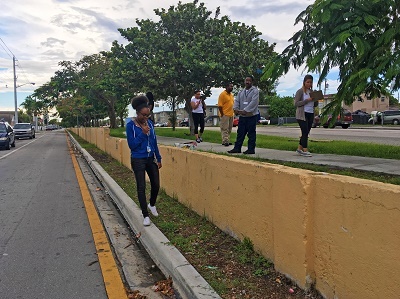 “We are honored to receive this funding that will help bring the Wall (In) project to life – the project aims to provide a platform where young artists can discuss and explore notions of public space, history, context and civic engagement,” said Sheila Womble, Executive Director of Arts for Learning/Miami. 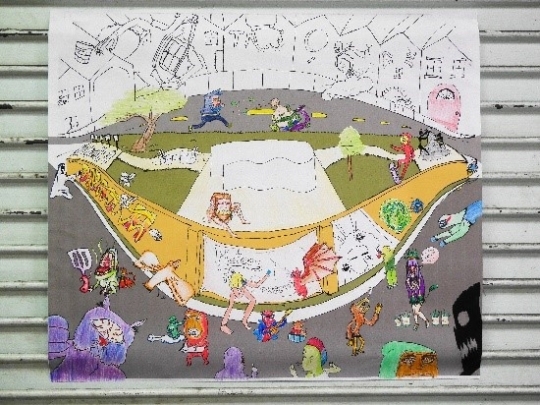 Visit http://www.a4lmiami.org/ to learn more about Arts for Learning/Miami and the exciting new Wall (In) project!